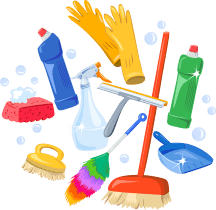 Neither you’re someone who stays at home or has a career to build; it would be pretty understandable that you don’t want to undertake the burden of cleaning your house. While that is something which might seem exciting every once in a while, you would be grateful for the fact if someone else can do that for you. 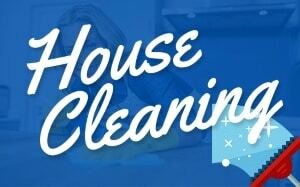 It is for this reason that you should think about the idea of hiring a home cleaning service. By allowing an expert and a professional to overtake the whole thing, you would be able to get your peace of mind. Not only that, but you would also be assured of the fact that your home would be clean at all times. Also, by hiring home cleaning maids, you would also be able to benefit from their home cleaning techniques. While it would undoubtedly include the most basic ones such as dusting, mopping, and cleaning, they would do it in such a manner that it would help in creating a healthy and safe environment. This is because they would be making it a point to keep your home free from germs, allergens, bugs, and insects so that all of you can be healthy and safe. So, when it comes to hiring home cleaning maids, the best option is to hire one which has been referred by a friend, family member, or someone close to you. In this way, you would be assured of the fact that they are indeed reliable and would be able to get the work done correctly. 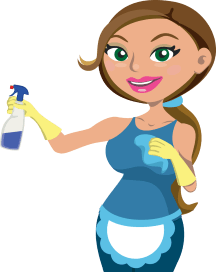 Now comes the big question – should you go ahead and hire a professional maid cleaning service? If you are still feeling confused about this prospect, we will be able to help you out with that. Read on below to find out some of the benefits that you would be able to gain from making this decision. One of the benefits that you’ll able to enjoy is the reduction in your workload. This is because with responsibilities piling up with every passing day. You might not be able to take time deep cleaning of your home. 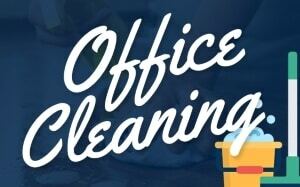 So, with the help of a professional, you would be able to reduce your daily workload of scrubbing and cleaning. In return, would allow you to relax with your loved ones and create happier memories. When engaging in household cleaning, you would come across specific areas which would be pretty hard to reach. You either convince yourself that it’s okay to leave them that cleaning it yourself. However, you’re not aware of the damage that it brings to your home. This is something that home cleaning maids can do. In fact, they make it their priority to clean first those areas which are hard to reach in your home. This includes cleaning all the dirty corners and removing the cobwebs. As a result, this would make your home wholly hygienic and dust free. Thanks to the company using professional grade equipment. They’ll be able to ensure that your bathrooms receive the highest level of sanitization. This includes cleaning the cabinets along with the fixtures and fittings. Since the toilet seems to be the place that mostly uses at home, it needs special attention. It would be quite reasonable to find decorations in your home with personal belongings and collectors’ items. After all, your home is the place where you honestly can be yourself. So, you take all the effort to beautify it and express yourself. When inviting a professional home cleaning maids service, you would have some apprehensions about their work approach. However, one thing which you overlook is the term “professional” is included in their name. It implies more skills and capable of undertaking your work. They would get the cleaning done in such a manner. All your expensive items would remain intact and in its rightful place. They clean all areas in your house. Professional cleaners would also be taking care of cleaning out the chimney and fireplace. As a result, you may not worry about finding even a single speck of dust anywhere in your home. So, as you can see, you would much benefit to hire a home cleaning service like LynneJean Cleaning!